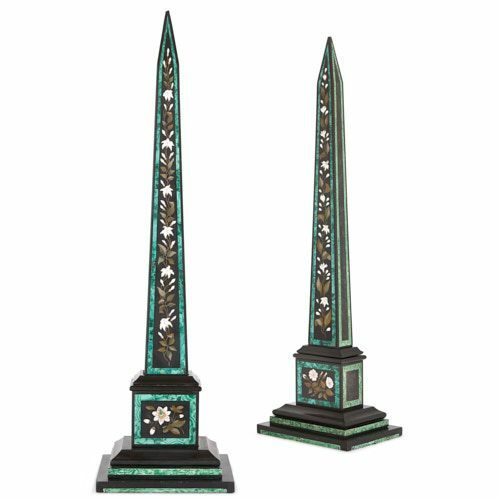 These elegant black marble obelisks are beautifully decorated with white flowers, formed by inlaid hardstones, within green malachite gemstone borders. The obelisks are of typical form, with tall four-sided bodies that taper towards their tops and terminate in pyramid-like points. The obelisks are placed on plinths, set on stepped rectangular bases. 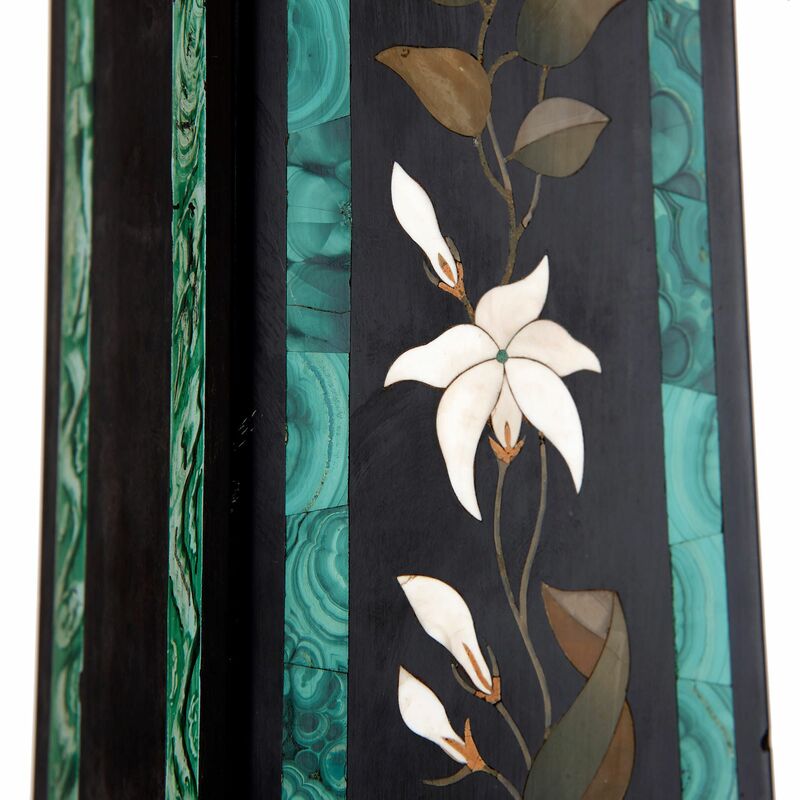 The bases are edged with the green gemstone, malachite, and the fronts of the plinths are decorated with inlaid hardstone white flowers, within malachite frames. The bodies of the obelisks are similarly ornamented with white flowers and green foliage, created by inlaying a variety of hardstones. These are similarly bordered by bands of malachite. 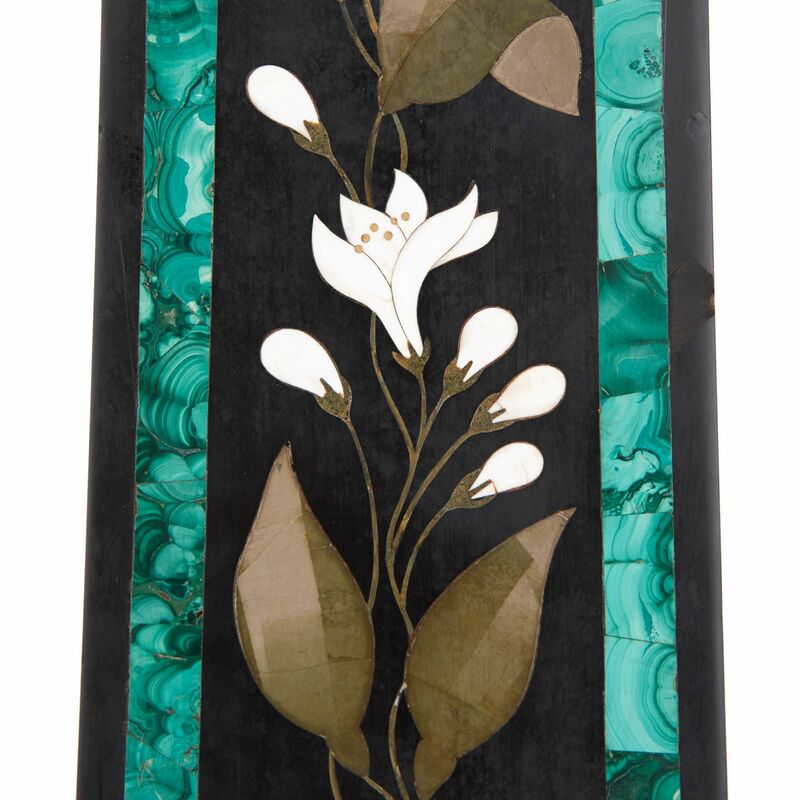 The white flowers that decorate the obelisks are fine examples of ‘pietra dura’ work. 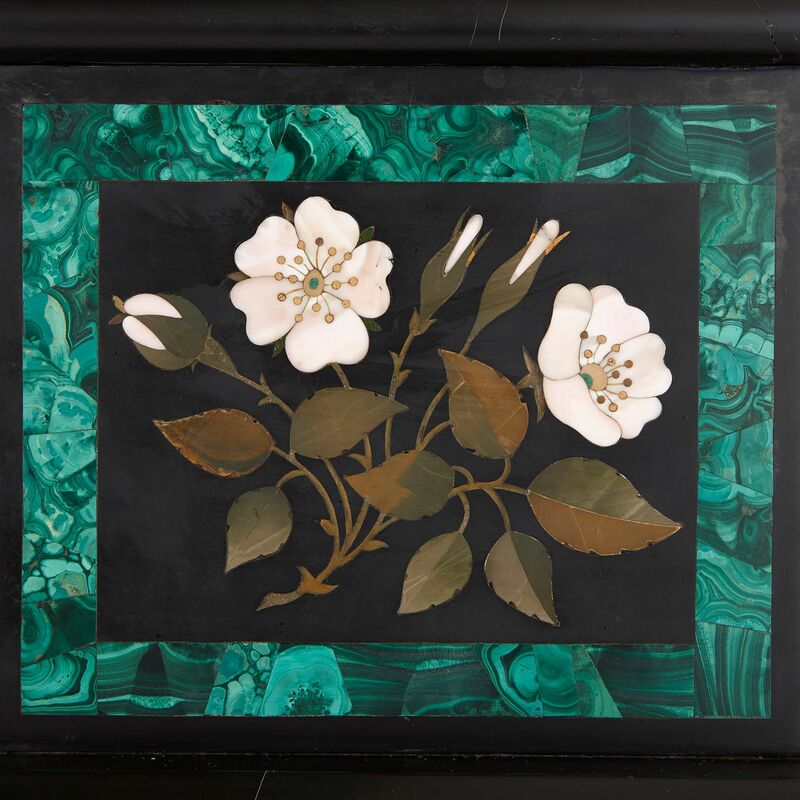 Italian for ‘hard stone’, ‘pietra dura’ refers to the stones which are applied, using the ‘commesso’ (‘fitting together’) technique, onto a backing to create an image. 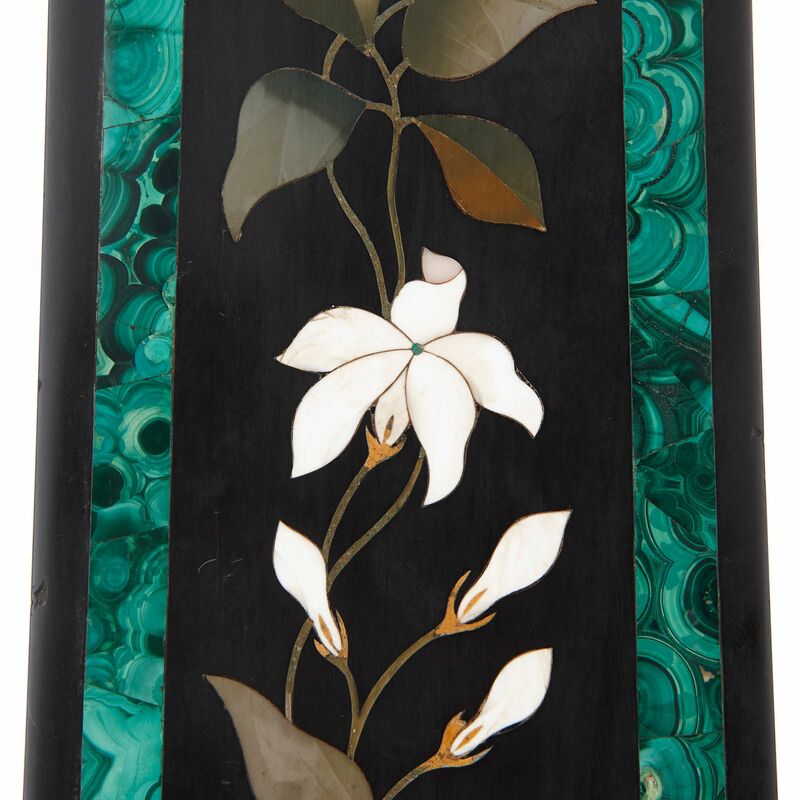 These stones often include different coloured marbles and gemstones, including quartz, chalcedony, agate, jasper, porphyry and lapis lazuli. 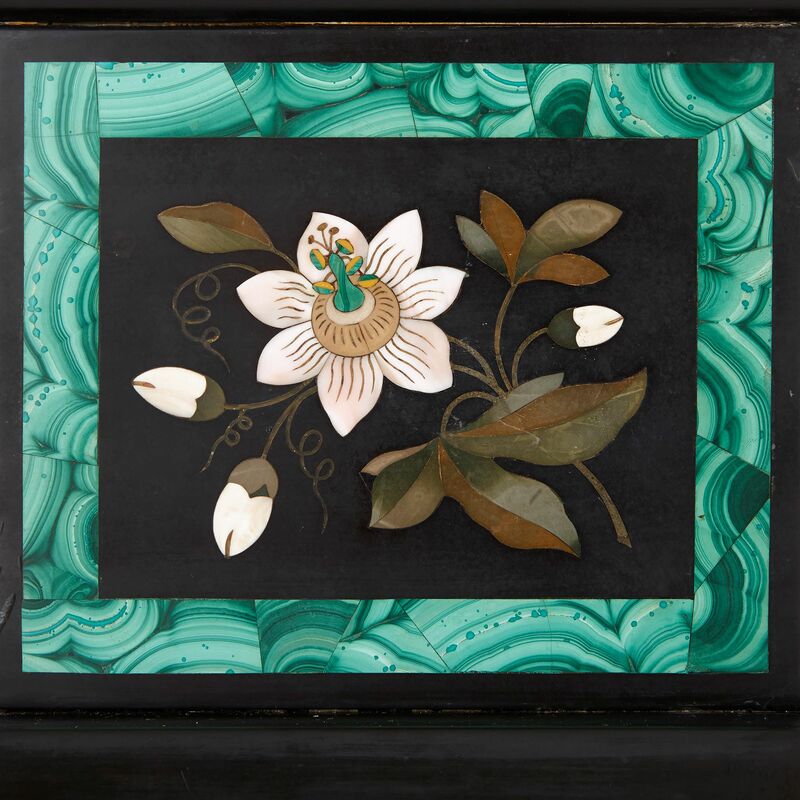 The art of pietra dura flourished in Italy in the Renaissance period, and was fashionably revived in the 19th Century.